Some years ago, I decided to undertake a 72-hour fast as something of a spiritual exercise and a way of getting in touch with my deeper self. The experience was both exhilarating, but also surprisingly challenging. For three days I subsisted on little more than organic rice cakes and lemon water. I felt the process enabled greater mental clarity, but I definitely I had less physical energy. My interest in fasting has been piqued once again as I’ve come across numerous reports that the practice has become very popular among celebrities. For instance, Hugh Jackman, Jimmy Kimmel and Beyonce are among a roster of stars who have used fasting techniques to slim down and tone up. In addition, executives and workforces in Silicon Valley are employing fasting diets as a way of improving creativity, mental prowess and productivity in the workplace. Can fasting really boost your brainpower and your physical fortitude? Let’s look at the science and see how periodic fasting might improve your mental and physical powers. According to Dr. Valter Longo of USC, “When you starve, the system tries to save energy, and one of the things it can do to save energy is to recycle a lot of the immune cells that are not needed, especially those that may be damaged.” Studies involving lab animals tend to confirm this view. In particular, mice that were put on calorie-restricted diets had stronger immune systems and tended to live longer. Of course, when your body’s defenses are more robust you will be better protected against disease and illness, which means (presumably) that you’ll have more energy available to be productive. There’s little question that metabolic disorders like diabetes and obesity can drain your energy resources. A study published in The Journal of Applied Psychology found that diabetics have to expend far more energy to accomplish everyday tasks than their non-diabetic counterparts. Numerous studies have shown that fasting can improve metabolic functions that are related to both diabetes and obesity. Of course, by improving the speed of your metabolism you not only help prevent diabetes and obesity, but you also become more efficient at burning excess fat. Processed foods and environmental toxins can all take their toll on the body. The result can be oxidative stress and inflammation, which is the root causes of heart disease, dementia, cancer and numerous other diseases. Studies show that fasting is correlated with lower levels of IGF-1, a hormone that scientist believe promotes disease and aging. In addition, research shows that fasting can help reduce levels of C-reactive protein, a biomarker of inflammatory responses. Conversely, one study found that subjects who practiced intermittent fasting had greater amounts of antioxidants (which help reduce the impact of toxins) available in their bodies. Recent research suggests that fasting can improve the health of your mitochondria. These cellular workhorses help supply energy at the most fundamental biological level. If they are impaired, then your body may generate more free radicals and be subject to greater oxidative stress. Therefore, it stands to reason that increasing the capacity and efficiency of mitochondria can boost your overall health and energy levels too. Fasting is not for everyone and the practice has its risks. Therefore, be sure to consult with your physician before altering your caloric intake substantially. Also, be sure to check out a comprehensive overview of the topic that includes sensible safety considerations. Previous articlePeople Are Lining Up For Hours To Taste This Cheese Tea! Would You? 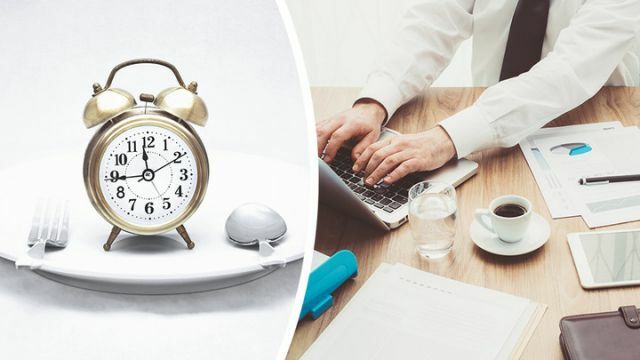 Hey Buddy!, I found this information for you: "5 Ways Fasting May Boost Mental Clarity, Physical Stamina And Productivity". Here is the website link: https://www.thealternativedaily.com/5-ways-fasting-may-boost-mental-clarity-physical-stamina-and-productivity/. Thank you.